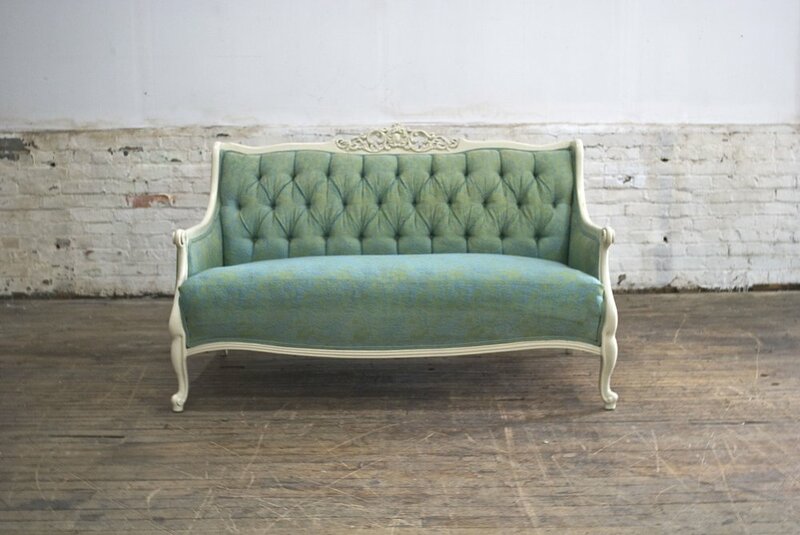 Our Mint Settee features ornately carved white trim. The upholstery is minty, teal brocade. It matches our Mint Arm Chair and pairs well with the Kat Chairs and the Golden Ticket Chair.